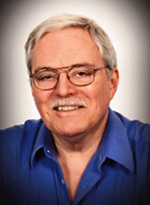 Robert W. Passfield was born at St. Thomas, Ontario, in April 1942. In June 1974, he joined the Parks Canada Program, Department of Indian Affairs and Northern Development, as a Historical Researcher, and retired in August 2004, as Senior Historian, Historical Services Branch, Parks Canada Agency, after a 30 year career in the Public Service. During his Public Service career, he prepared numerous reports recording, documenting, and evaluating historic canals, historic bridges, and auxiliary structures, for Parks Canada, as well as reports in support of the Parks Canada program mandate; and Agenda Papers and Submission Reports evaluating Persons, Places, and Events in the engineering field, for the Historic Sites and Monuments Board of Canada. He also served in an acting capacity in management positions, and as a representative of the National Historic Sites Directorate in support of human resources initiatives. Passfield has published numerous articles in professional journals, chapters to several books on public works subjects, and two books pertaining to heritage canals. He also received an award for his noteworthy contributions to Canadian engineering history; an award for an outstanding article in the field of industrial archaeology; a Parks Canada Merit Award, and Prix d’Excellence Award; three merit promotions from the Interdepartmental Historical Research Committee of Peers; and letters of commendation from Parks Canada, the Historic Sites and Monuments Board of Canada, and Transport Canada. In retirement, Passfield has continued to work in the history of technology and industrial archaeology fields, in publishing his research and presenting papers at conferences. He continues to live in Ottawa where he resides with Susan James, an Ontario Law Clerk/Legal Assistant with a prominent Ottawa law firm. In 2010 Passfield was granted the status of Senior Historian Emeritus*, Parks Canada Agency, for his distinguished past service, and continued support of the Parks Canada program in mentoring new staff members in his fields of knowledge and expertise, and acting in a corporate memory capacity with respect to past program initiatives, on-going issues, and the implementation of Parks Canada’s cultural resource management mandate. In May 2012, Passfield was awarded the Robert M. Vogel Prize, by the Society for Industrial Archeology (SIA), “for outstanding scholarship in the field of industrial archeology”.